Time to make the world listen. 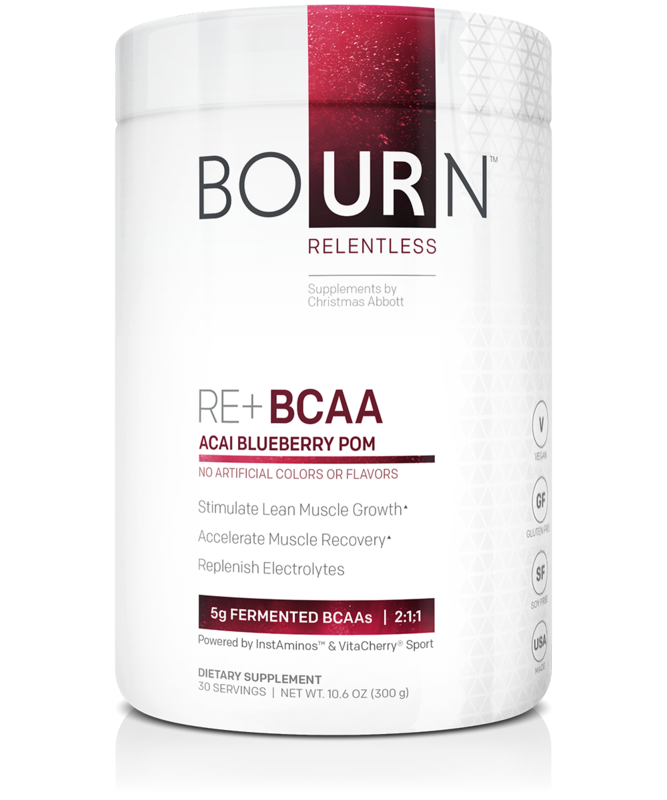 Bourn Relentless is a line of naturally derived supplements crafted by performance athlete Christmas Abbott, tailored to fit your goals, and designed to be as relentless as you are. PURE DRIVE 100% Grass-Fed Whey Protein stimulates growth and enhances recovery. FIREFLY promotes relaxation and recovery through deep, restorative sleep, ensuring that you start each day refreshed, replenished, and ready for peak performance. RE+ BCAAs provide 5g of fermented Branched Chain Amino Acids (as InstAminos™) in a scientifically-dosed 2:1:1 ratio to meet every athlete’s essential needs.